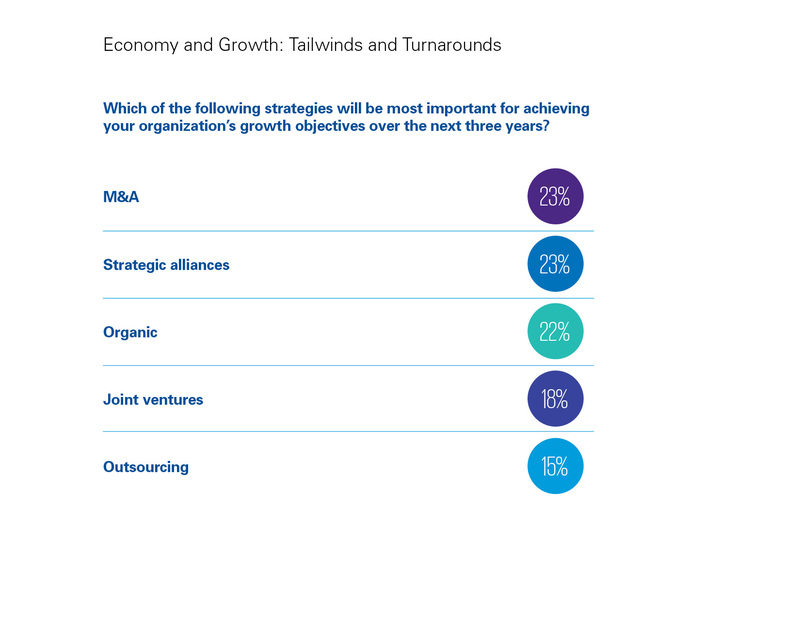 NEW YORK, May 22 – U.S. chief executives are highly confident in the growth prospects for their companies over the next three years and will focus on M&A and collaborative efforts such as accelerator or incubator programs for startup firms to achieve sustained growth, according to a study released today by KPMG LLP, the U.S. audit, tax, and advisory firm. 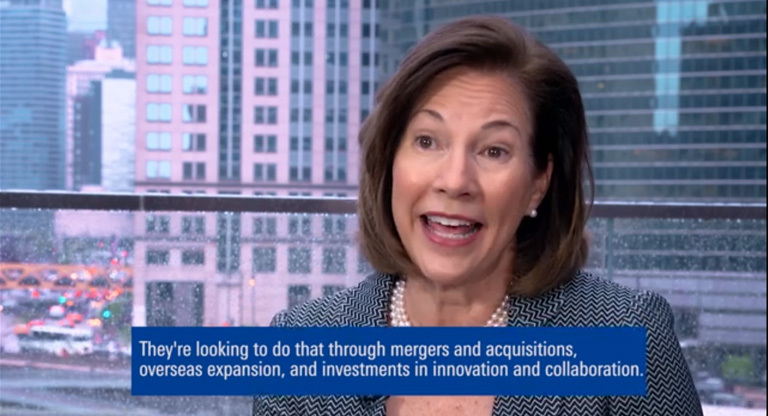 Follow the conversation on @KPMGUS_News using the hashtag: #CEOoutlook. 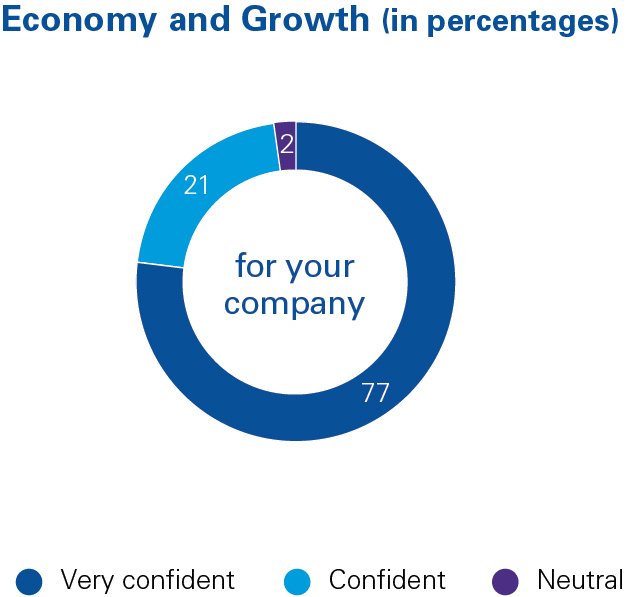 Seventy-seven percent are “very confident” in the growth prospects for their companies over the next three years, up from 46 percent a year ago. Despite the high confidence, moderate growth is predicted. 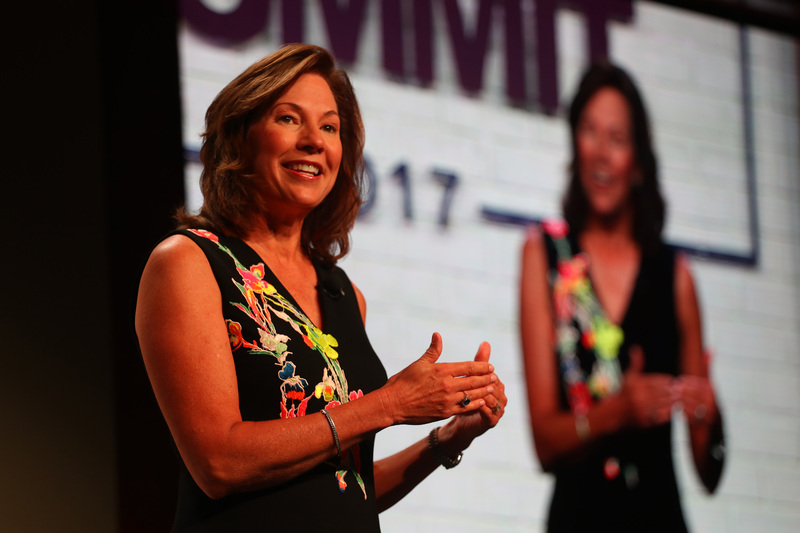 Fifty-one percent expect top-line revenue growth to be less than 2 percent over the next three years with 49 percent expecting growth in the 2 to 5 percent range. 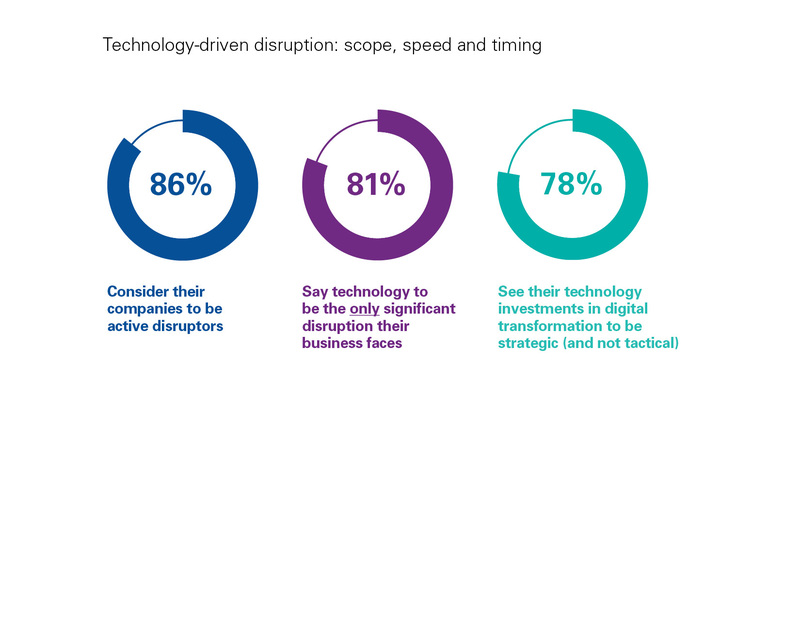 Thirty-six percent have a “high M&A appetite” and are likely to undertake acquisitions which will have a significant impact on their organization, with cost reduction and business model transformation the main drivers. 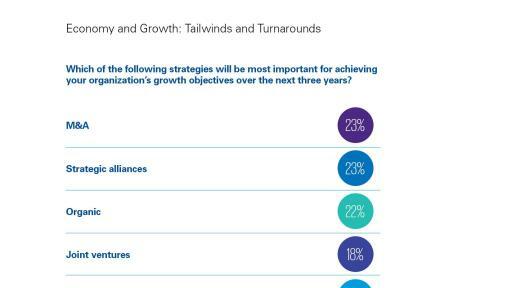 CEOs said their key strategies for achieving growth over the next three years include M&A (23 percent), alliances with third parties (23 percent), and organic growth (22 percent). They also are planning to undertake a number of actions relating to innovation and collaboration to achieve their growth objectives. These include setting up accelerator or incubator programs for startup firms (46 percent), making products and services available via online providers (43 percent), and partnering with third-party providers (42 percent). Eighty-one percent see emerging markets as the priority for geographical expansion with a focus on Central and South America. 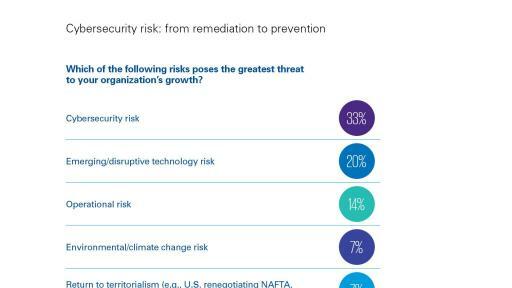 When asked about the risks posing the greatest threat to their organization’s growth, CEOs identified cyber security (33 percent) and emerging and disruptive technology (20 percent). They are significantly less likely than their global counterparts to see a return to territorialism as a threat to growth. Sixty-eight percent said it’s now a case of “when,” not “if,” their organization becomes a victim of a cyber attack and 77 percent believe they are either “very well” or “well” prepared for it. Organizations in the United States are well down the path of implementing artificial intelligence (AI) into process automation. Forty-nine percent have begun limited implementation of AI for specific processes, and 31 percent have already implemented it to automate a number of processes. A narrow majority (52 percent) of CEOs believe that more jobs will be created than eliminated by artificial intelligence and robotics technologies in their organizations over the next three years. 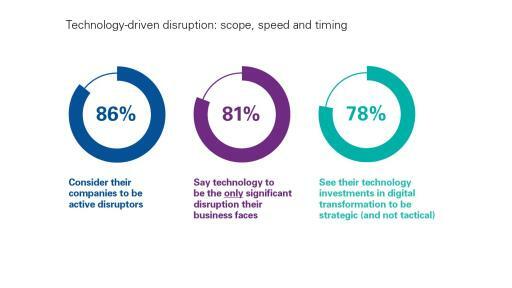 Looking at the importance of workforce capabilities in supporting future growth, CEOs are prioritizing specialists in emerging technology (76 percent), cyber security (75 percent), and scenario and risk modeling (74 percent). 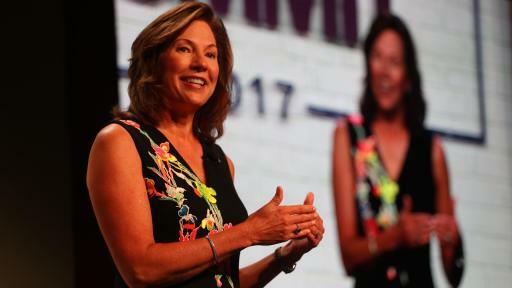 The KPMG U.S. CEO Outlook is part of KPMG's 2018 Global CEO Outlook survey of 1,300 CEOs. 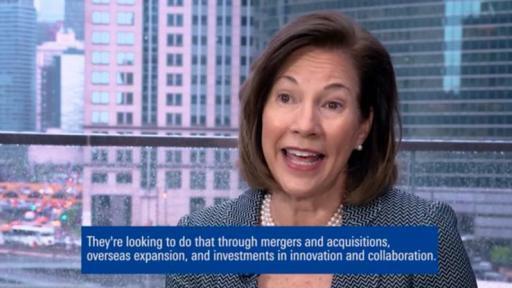 For more information, please visit: kpmg.com/US/CEOoutlook. KPMG LLP is the independent U.S. member firm of KPMG International Cooperative (“KPMG International”). 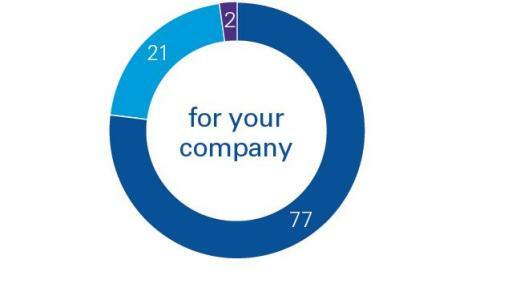 KPMG International’s independent member firms have 197,000 professionals working in 154 countries. Learn more at www.kpmg.com/us.